Recently bought a new longboard to get back into boarding after 10+ years and was sorely disappointed when I first jumped on it by how wobbly it felt. Read online (several hours of cramming bushing knowledge into my brain) that I should try some higher duro bushings. The 96's were the perfect fit, the board rides great now! Thanks for a great experience, I'll be ordering again soon! These riptide bushings were the perfect fit for my new baby! 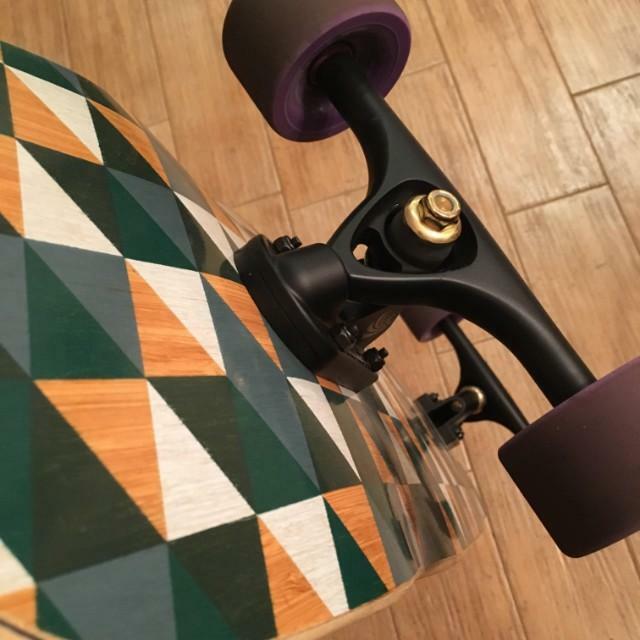 Tell us about your experience: Recently bought a new longboard to get back into boarding after 10+ years and was sorely disappointed when I first jumped on it by how wobbly it felt. Read online (several hours of cramming bushing knowledge into my brain) that I should try some higher duro bushings. The 96's were the perfect fit, the board rides great now! Thanks for a great experience, I'll be ordering again soon! What other products would you like to see us carry? : Maybe various colors of bushing washers to match the variety of trucks out there? I have a hard time finding the right small and large cup washers to match when I change bushings on a truck. You guys already carry a lot of great stuff, thanks for that!